The return of the N64 classic tips the scales in favour of Nintendo in Japan. 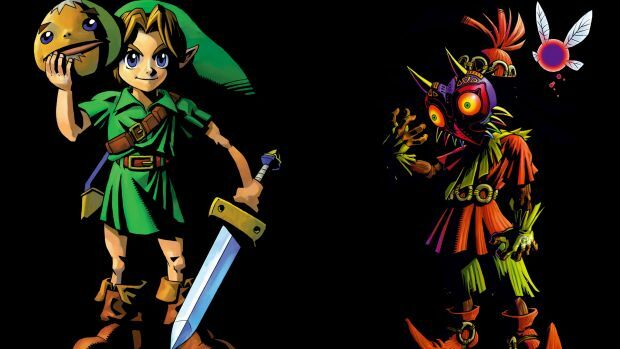 Nintendo has struck gold again with The Legend of Zelda: Majora’s Mask 3D. According to Media Create sales charts for last week, the 3DS port of the N64 classic managed to sell 230,065 units in the first few days of release. The next big new release was Koei Tecmo’s Samurai Warriors 4-II which sold 44,574 copies on the PS3 in its first week, followed by The Seven Deadly Sins: Unjust Sin with 33,270 units sold on the 3DS. Yokai Watch 2: Shinuchi continues to sell well, as its on the way to crossing the 2.5 million copies mark with 23,844 units sold in the past week. Koei Tecmo experienced good sales for Samurai Warriors 4-II on the PS Vita and PS4 as well, selling 23,519 units and 22,468 units respectively. Nintendo’s other reasons to smile are from Pokemon Omega Ruby/Alpha Sapphire which sold 12,922 units (lifetime sales of 2,513,921 units) and Super Smash Bros. 3DS which sold 9,532 units (lifetime sales of 2,149,794 units).